In 2015, U.S. hospital emergency rooms treated an estimated 11,900 people for fireworks related injuries; 51% of those injuries were to the extremities and 41% were to the head. Children younger than 15 years of age accounted for one-quarter (26%) of the estimated 2015 injuries. •	Obey all local laws regarding the use of fireworks. 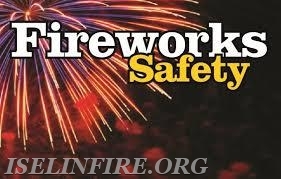 •	Know your fireworks; read the cautionary labels and performance descriptions before igniting. •	A responsible adult SHOULD supervise all firework activities. Never give fireworks to children. •	Alcohol and fireworks do not mix. Save your alcohol for after the show. •	Wear safety glasses when shooting fireworks. •	Light one firework at a time and then quickly move away. •	Use fireworks OUTDOORS in a clear area; away from buildings and vehicles. •	Never relight a “dud” firework. Wait 20 minutes and then soak it in a bucket of water. •	Always have a bucket of water and charged water hose nearby. •	Never carry fireworks in your POCKET or shoot them into METAL or GLASS containers. •	Do not experiment with homemade fireworks. •	Dispose of spent fireworks by wetting them down and place in a metal trash can away from any building or combustible materials until the next day. •	FAA regulations PROHIBIT the possession and transportation of fireworks in your checked baggage or carry-on luggage. 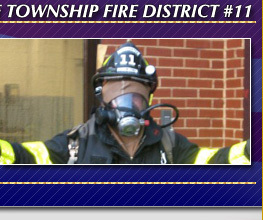 •	Report illegal explosives, like M-80s and quarter sticks, to the fire or police department. •	Don’t bring your pets to a fireworks display, even a small one. •	If fireworks are being used near your home, put your pet in a safe, interior room to avoid exposure to the sound. •	Make sure your pet has an identification tag, in case it runs off during a fireworks display. •	Never shoot fireworks of any kind (consumer fireworks, sparklers, fountains, etc.) near pets.